This Truck Stop Is Providing Truckers Free Meals For Thanksgiving! - Muscle Cars Zone! 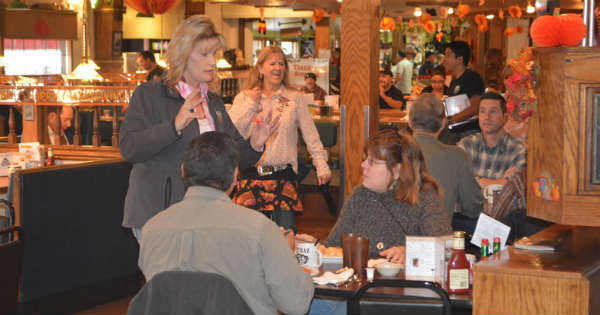 This Truck Stop Is Providing Truckers Free Meals For Thanksgiving! There is always something that you can do to help other people who are in much worse situation than you. The things you can do are absolutely endless, and as long as you are doing it from deep inside your heart, you must be proud of yourself. As we all know, some of the busiest holidays are about to come soon, such as Thanksgiving and Christmas. It is exactly in this period which product are mostly demanded for, thus the transport should be taking place nonstop and all the time. The meals that you have home, the toys you play with and the couches that we sit at home would not have been there if it was not for the truck drivers. They are the ones that make this possible and to show their appreciation, Boise Stage Shop is offering and providing free meals for them during the holiday season. 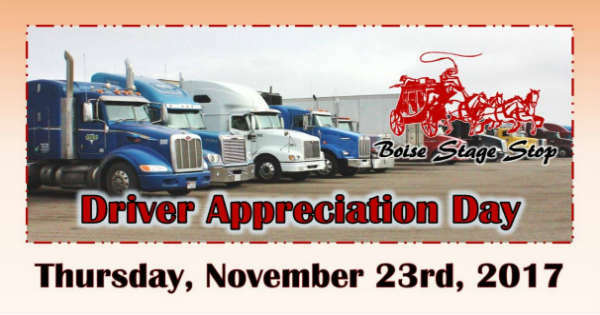 Even though they are not at home and they could not experience these holidays as they should together with their families, this amazing Boise Stage Shop located in Boise, Idaho will be continuing their tradition of giving free meals to the truck drivers. They have been doing this for the last 12 years and they hope that it is going to remain a tradition for a long time. This Thanksgiving meal includes a turkey, pumpkin pie, mashed potatoes and much, much more. The shop`s representative, Samantha McDonald, says that she is really proud of the great deed that they are doing!